The paramedic profession is both challenging and enriching (in terms of fulfilment that comes from helping others). 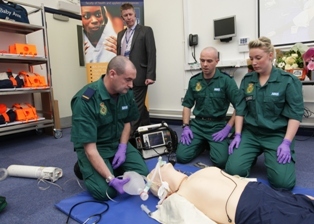 If you have decided to become a paramedic in the United Kingdom, there are ample opportunities for recruitment. However, you must prove to be exceptional in the various recruitment stages, including the paramedic training process. Anyone wishing to work in the National Health Service (NHS) must be registered with the HPC – Health Professions Council. The HPC approved a number of courses culminating into a BSc honours degree, foundation degree or diploma in paramedic science. The approved courses are modular in nature, and the entry and exit points are quite flexible, it all depends on the qualifications you have academically, as well as relevant experience. The duration of the courses is between 2-5 years depending on the nature of the study (full-time or part-time). Ensure that you verify entry requirements with the ambulance service trust and with the institution of higher learning concerned, especially in your desired area of paramedic role. Also, the HPC approved some ambulance service trusts to offer training to the IHCD – Institute of Healthcare Development paramedic award, which will result in registration. To view the list of approved universities and NHS Ambulance Service Trusts in association with providing paramedic training that would lead to registration, visit the HPC website. Having some forms of experience in health-related organisations is a big plus when it comes to selecting prospects for paramedic training. So, whether you are applying through the ambulance service or universities, ensure you have some health-related working experience such as being a volunteer worker with the British Red Cross, or St. John Ambulance, or as a Community First Responder. The top websites that would help you acquire relevant experience and training for becoming a paramedic include NHS Careers, British Red Cross, Volunteer Database , St. Andrew Ambulance, and St. John Ambulance. First, a paramedic who wishes to practice must be registered with the HPC – Health Professions Council. Also, compliance with the HPC regulations is necessary for remaining on the HPC register. 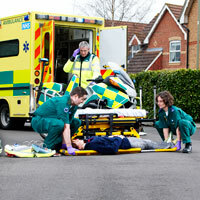 Typically, a good number of ambulance trusts will subject new paramedic recruits to emergency driving training. This training may run through 3-4 weeks . Also, one of the policies of the HPC in regard to registered health professionals is CPD – Continuing Professional Development. Obviously, a registered paramedic must comply with the policy by embarking on continuing professional development. Recently, part of the requirements for becoming a paramedic spells out that paramedics must have a record of their continuing professional development, and must provide evidence in line with two years’ of previous practice. Obviously, the training process for becoming a paramedic is a combination of both the university or ambulance trust service paramedic courses, and the other recruitment training or assessments such as emergency driving training that lasts 3-4 weeks. Ensure that you go through all the requirements for becoming a paramedic in the United Kingdom, this will improve your chances of being selected.